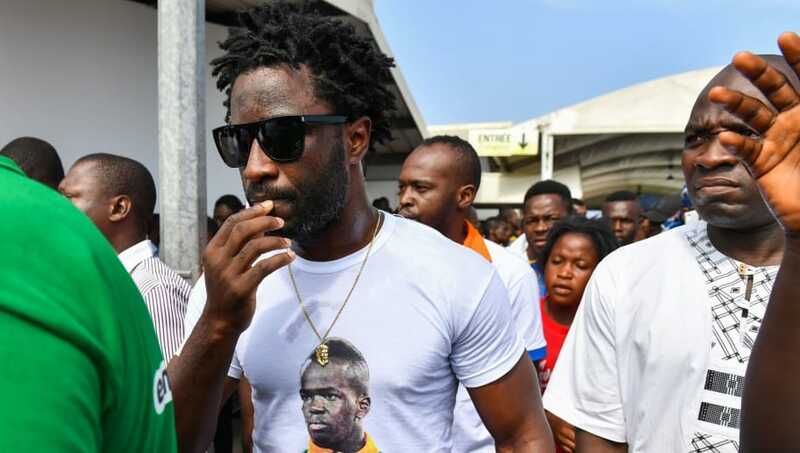 ​Following his £12m transfer deadline day deal, Wilfried Bony is ready to hit the ground running in his second spell at Swansea City. Joining from Manchester City on a two-year deal, with the option of a further 12 months, the Ivorian forward is looking to make an immediate impact as the Swans look for goals following Fernando Llorente's departure to Spurs. Speaking on the Swansea club website, Bony spoke of just how much he has to prove at the Liberty Stadium. "I am still at school. I always want to improve, and I have a lot to show,” said the Ivorian. “I have a very good feeling, especially for myself, the fans and my family. “I need to be on the pitch playing, so when I heard Swansea wanted me back I was very excited. We all know what happened here in the past. I can't wait to be out on the pitch to show myself again." In his first stint with Swansea, Bony made 70 appearances for the Swans, scoring 34 goals in that time, seeing him targeted by Manchester City, going on to join the Citizens in January 2015. In his time away from the Liberty Stadium the 28-year-old Ivorian has struggled, having made 62 league appearances for both Manchester City and Stoke City while on loan, scoring only 10 goals in that time. However, in spite of his lacking form away from Swansea, Bony has stated he hasn't put any expectations on himself, saying: "I don’t have a target to achieve, I just want to take it match by match – I want the best for the team first, and then you will see the rest." "It’s a special number for me,” he said. "It’s the second time I am at the club, hence I wanted to wear number two, and I want to achieve more for the team."